Verizon put new drone technology into action in October with three different use cases of the unmanned aerial systems or UAS to enhance network performance and reliability. Here is a closer look at the network activities and a comparison of the types of drones used. An unmanned aircraft system (UAS) was used at Cape May Airport, N.J. to test delivering 4G LTE network coverage from the drone itself, as essentially a small cell site in the sky. This was the first-ever test with Verizon’s Airborne LTE Operations (ALO) during an emergency management and disaster recovery exercise. The successful test proved that 4G LTE coverage can be provided from an aircraft to first-responders in the event no traditional service is available. 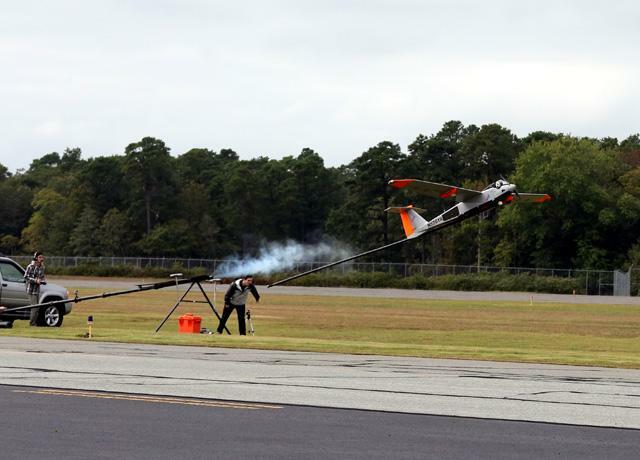 The test used a 17-foot wingspan RS-20 UAS, owned and operated by American Aerospace Technologies, Inc. (AATI) with pilots controlling it from the ground. With FAA authorization* the UAS was approved to fly up to 7,500 feet (but was tested with Verizon’s network at 3,000 feet and below). The aircraft is capable of flying up to 22,000 feet. The UAS can fly 12-16 hours at a time. With a weight of 165 lbs. the UAS can fly in windy weather conditions. The UAS live streams imagery of the ground to emergency personnel. The UAS is connected back to Verizon’s network, not for piloting, but for providing a 4G LTE signal to emergency personnel through the aircraft. Carolinas in the wake of Hurricane Matthew. The aerial footage allowed rapid assessment of any damage to cell sites that were inaccessible by land due to the flood waters. 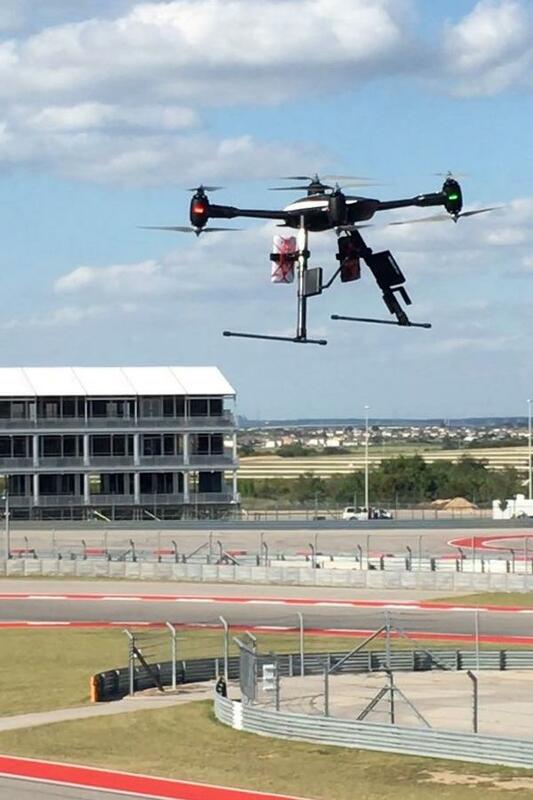 Verizon’s first drone venue inspection at the Circuit of the America’s (COTA) racetrack in Austin, TX was conducted to measure network coverage in advance of a major event Oct. 21-23. 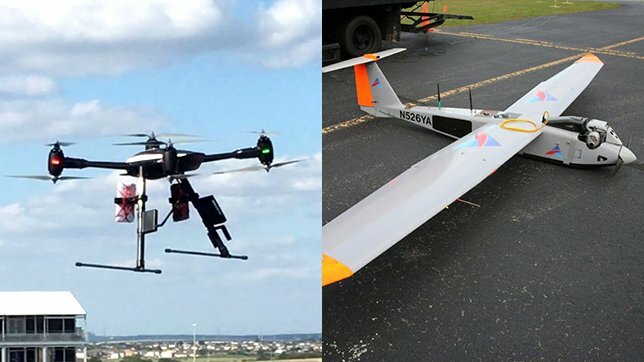 The UAS carried two smartphones to test the 4G LTE network and record data. The drones were able to fly easily over a large concert area, rows of bleachers and spectator areas still under construction. The drone-based system performance testing took approximately 50 per cent of the time it would take to walk the venue. Both quadcopter style UAS were owned and operated by Measure, who uses different types of drones based on the flight needs. These (sUAS) drones weigh 55 lbs or less. Both capture HD video images and can be equipped to capture network performance data. Measure operates under FAA authorization with a two-person crew that includes a ground pilot and visual observer for safe, legal and insured operations. *The technical trial was conducted under a Certificate of Waiver or Authorization (COA) issued by the FAA to the New Jersey Institute of Technology (NJIT). The NJIT approved the operation and participated in the research conducted by Verizon and AATI. Data on the flight activity was shared with the FAA in order to advance its goal of safely integrating UAS into the National Airspace.